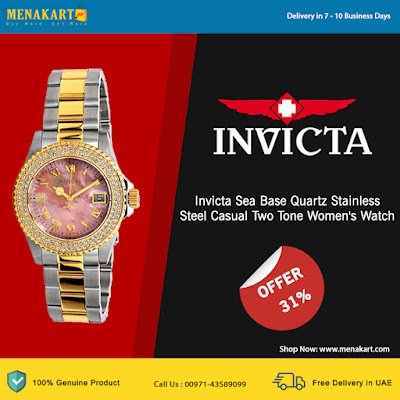 Are you are an affluent woman who enjoys the luxurious things in life especially in the fashion world If so then you will want to take a look at this beautiful timepiece from Invicta It is the epitome of an elegant fashion-forward accessory with rich details to prove it so Its sleek silver band makes a striking impression from the very first sight of it and is fashioned out of an incredibly durable stainless-steel so you can have confidence in the longevity of this timepiece Its case also demonstrates the supremacy of this finery as it is 13mmMM in dimension and is crafted out of stainless steel as well The mother-of-pearl dial is cool and composed in appearance which adds to the classy ambience of the piece in a subtle yet still unique way The gold hands on the dial match the band with a sleek appearance creating a perfectly lustrous look fit for a gorgeous woman with incomparable class It gets even better than this ladies It is never simply about the looks is it In addition to its grand visage it obtains features that transcend those of other luxury watches Other than its durable stainless-steel material it also contains a strong mineral crystal that firmly protects the details that rest on the dial of the watch It has a water resistance of up to 200 meters 656 feet 20 atm so while you should avoid taking a dip with this on your wrist it can handle a splash or two Furthermore this time-keeper relies on a quartz movement which speaks of its high-quality functionality as it ensures the utmost precision and accuracy This is an accessory that is sure to last for many years down the road as it is constructed with unmatched excellence So whether your next extravagant outing is an upscale date a wedding or a fashion show the Sea Base Invicta is by far the perfect addition to your accessory repertoire! The Invicta Sea base collection embodies the core concepts of enduring ingenuity. 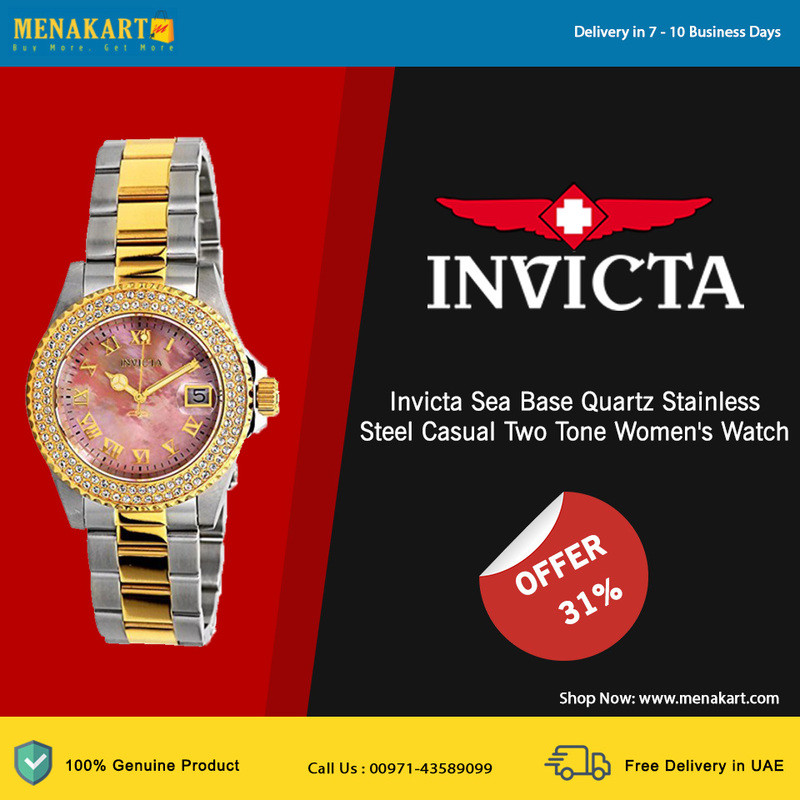 Comprised of carefully selected range of timepieces from the Invicta collections, Sea base represents all the dynamic aspects time has to offer. The models that encompass this in-store only opportunity are appointed with engraved case-backs featuring the Sea base logo as well as sapphire crystals. Curated to highlight exceptional components, the full potential of time resides in the Invicta Sea base collection.